The SecuriView Tower is the latest development from the SecuriView brand. The tower offers a fully deployable, mobile cctv surveillance solution that can be monitored remotely — 24 hours a day, 7 days a week. With a ruggedised PTZ (pan, tilt, zoom), full HD camera coming as standard, the unit is able to record the smallest of movements on site to the highest level of detail. 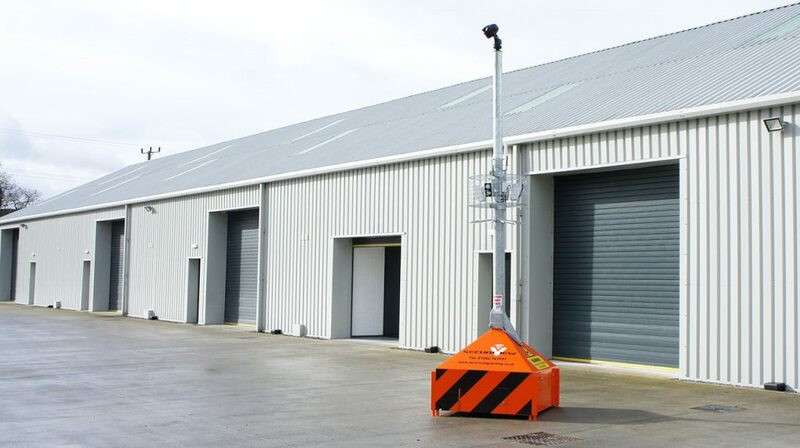 The Redwall PIR motion detectors are able to detect motion up to 40m away from the base of the unit and once detected the PTZ camera will zoom in on the subject. This allows for quick and effective monitoring of your site, allowing you to quickly identify intruders. Once the intruders have been targeted, the camera operator can then begin the process of deterring the unauthorised site visitors by issuing a verbal message via the audio loudspeaker that is connected to the tower. Go to www.securiview.co.uk to find out more. This entry was posted in Securicall News on March 14, 2017 by Mathew Williams.